A nice easy Easter activity for toddlers is to set up an Easter egg water play sensory bin. 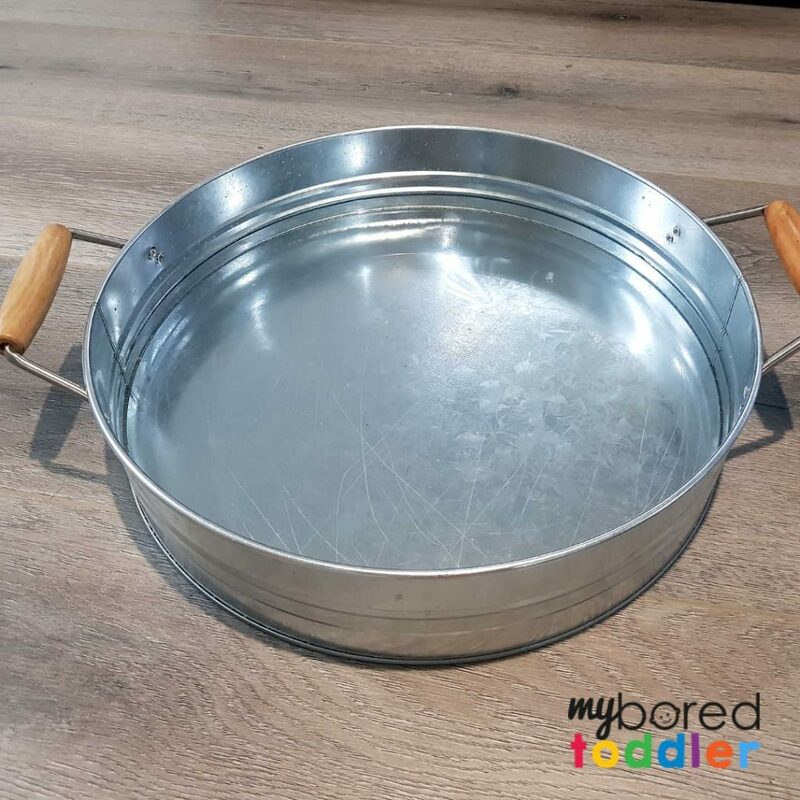 This toddler activity takes minutes to set up and can be played with over and over again. For those of you taking part in our Easter Craft Challenge (sign up HERE) I’ve decided to give you an easier day! 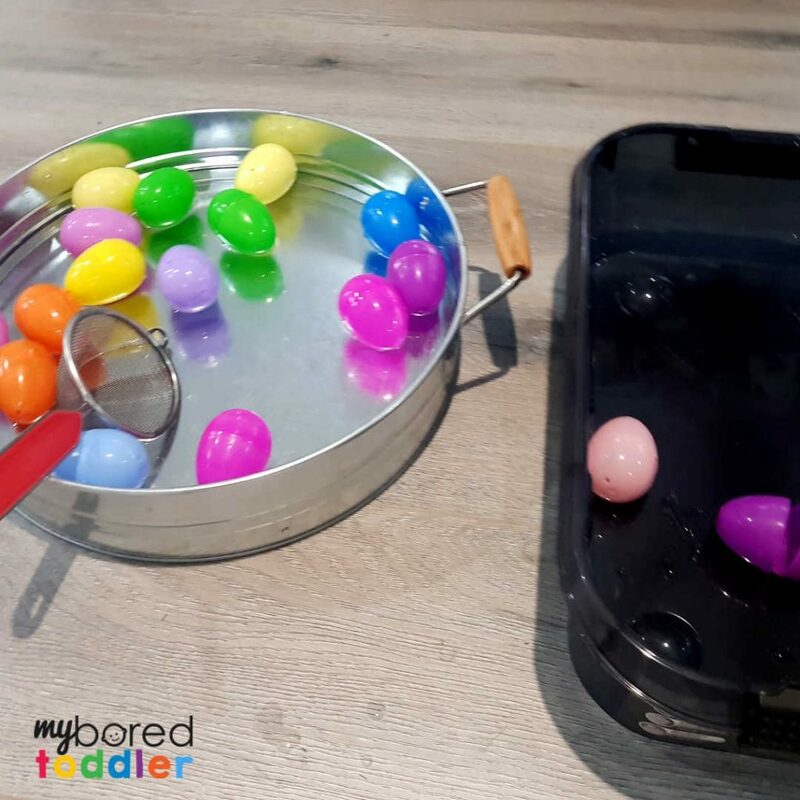 We’re taking a break from our Easter crafts and having a bit of fun with sensory play today. 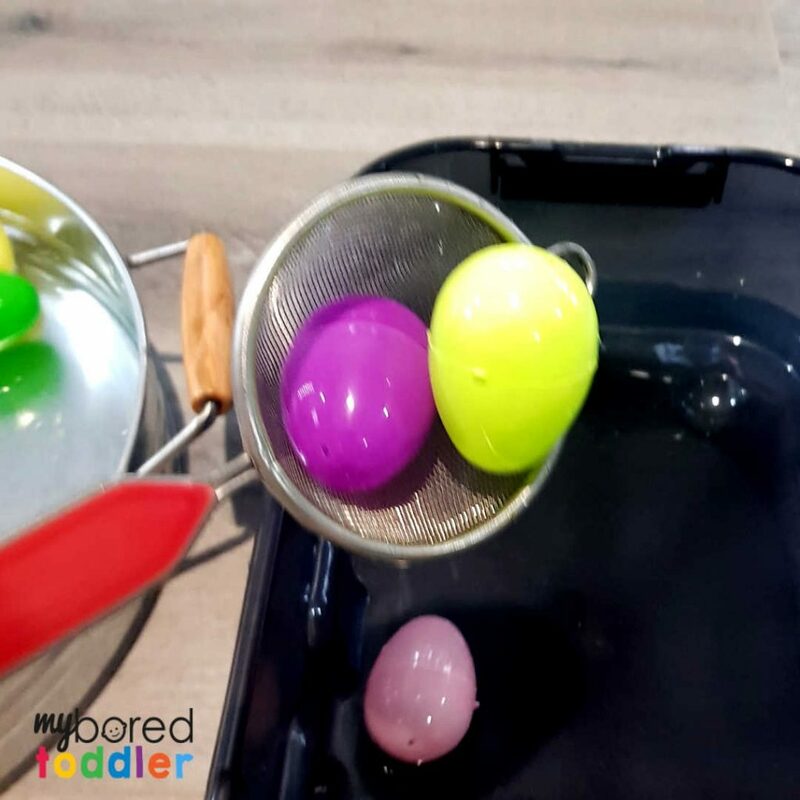 We’re going to be using the same plastic Easter eggs we used in our Easter egg painting activity and using them for a super simple water play activity. 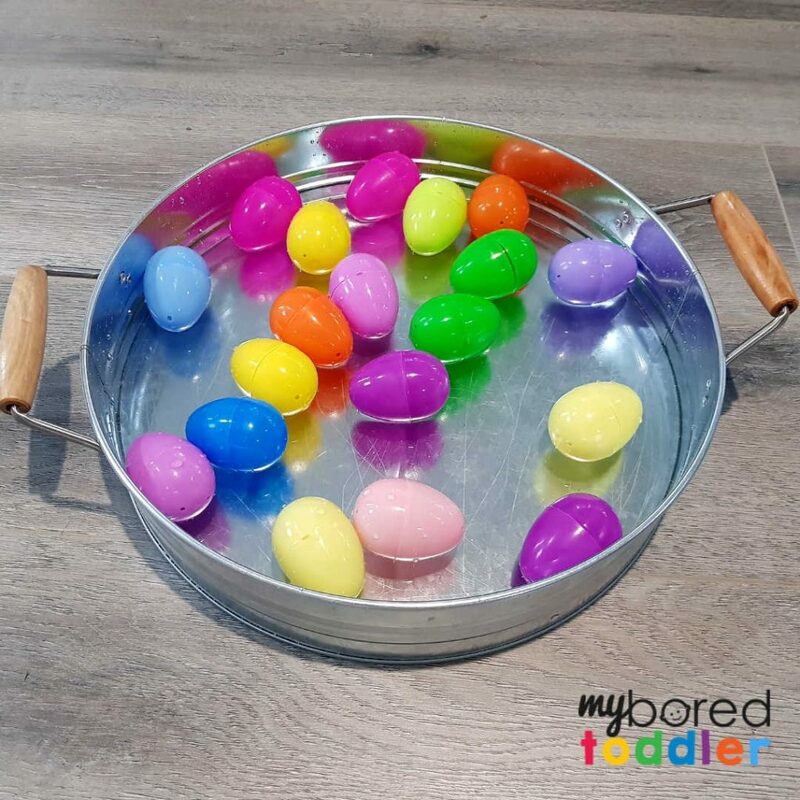 Scoops or plastic containers that your toddler can scoop up the eggs with. 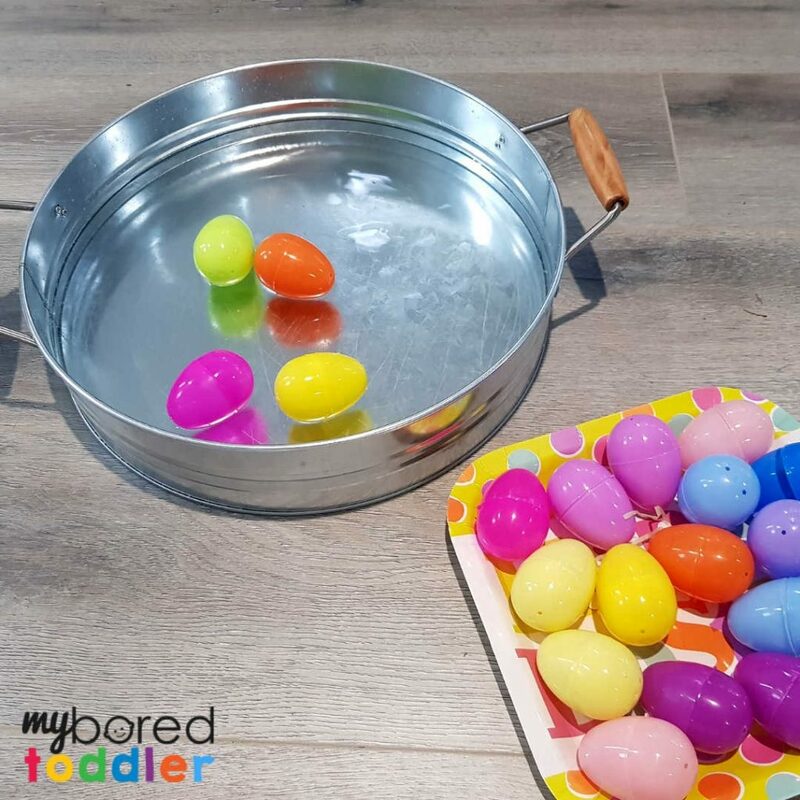 I normally like to have my sensory bins set up before letting the kids play with them, but for this one I recommend letting your toddler add the eggs to the water. They’ll have fun throwing them in and watching them splash! Once the eggs are in the water, give them a while to play with them before you add the scoops and containers. It’s always interesting to see how they play. 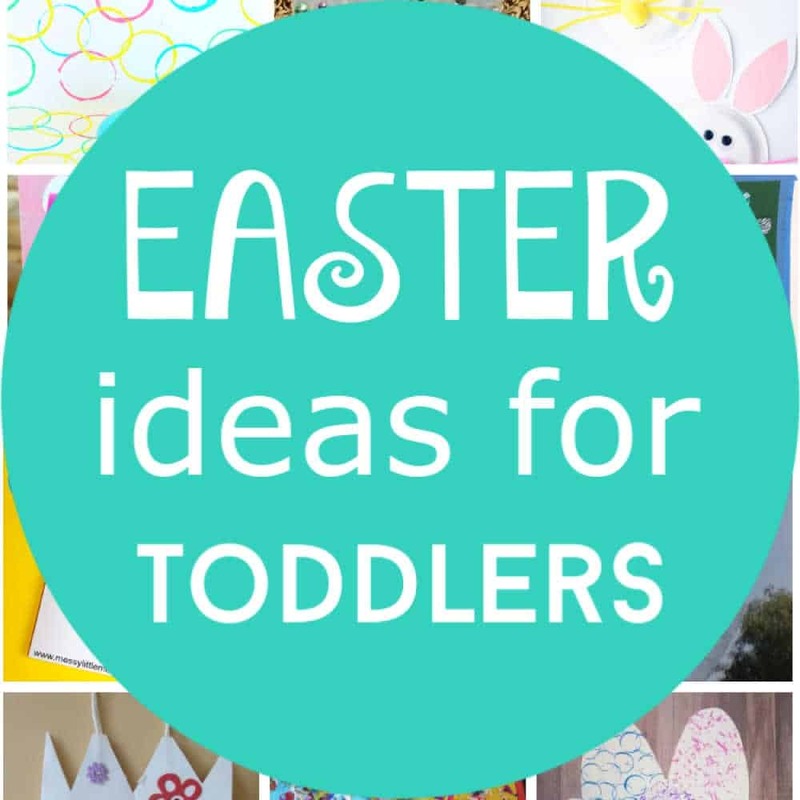 They might fill up the eggs with water, use the half open Easter eggs to collect and pour the water. Introduce the other empty container and some scoops or containers. You can model transferring them to the container or just see if they work that out. They can transfer all of the eggs, particular colors or whatever way they want to play! 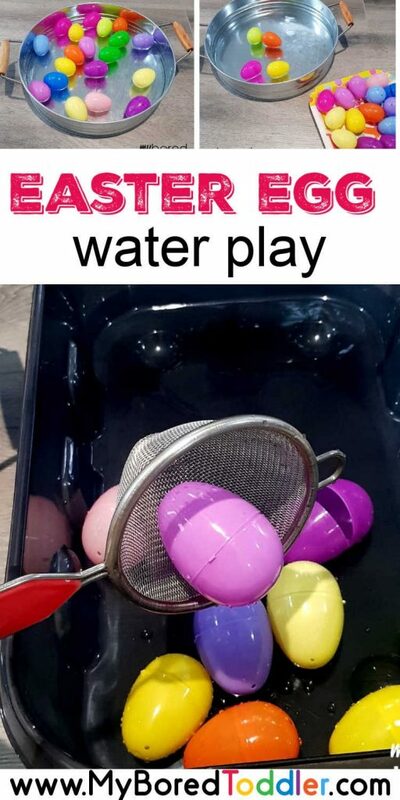 This is definitely a simple water play activity and a fun Easter idea. 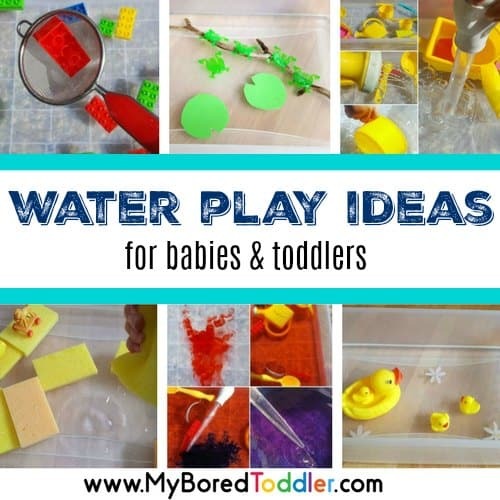 Why not try some more Water play activities?